The Central Bank of Nigeria (CBN) yesterday intervened in various segments of the inter-bank market with a total of $195milliion. A breakdown of the figure indicates that authorised dealers in the wholesale window segment received a $100 million offer from the bank, while the Small and Medium Enterprises (SMEs) and invisibles windows were allocated $50 million and $45 million respectively. 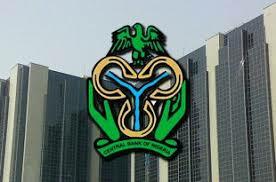 CBN’s acting Director of Corporate Communications Department, Mr. Isaac Okorafor, confirmed the figures and disclosed that the apex bank was impressed by the high level of transparency exhibited by stakeholders in the market. Recall that the CBN in its last intervention on Friday, allocated $240 million to the Retail Secondary Market Intervention Sales (SMIS) for spot and forward deals. With the rate of inflation dropping from its April 2017 figure of 17.24 per cent to 16.25 per cent at the end of May, Okorafor pledged CBN assurance that it remains upbeat that the fortunes of the Naira would improve further in the months ahead. Meanwhile, the naira continued its stability in the forex market, exchanging at an average ofN363/$1 in the BDC segment of the market yesterday.